Our trip to India may have been a holiday but that didn’t stop me from posting to Instagram as much as possible. Perhaps you followed along, but if not here are some of the highlights. It gives a good overview of the trip and the details I’ll cover over the next few weeks. And if you like these photos, be sure to follow us on Instagram. We have plenty more there. 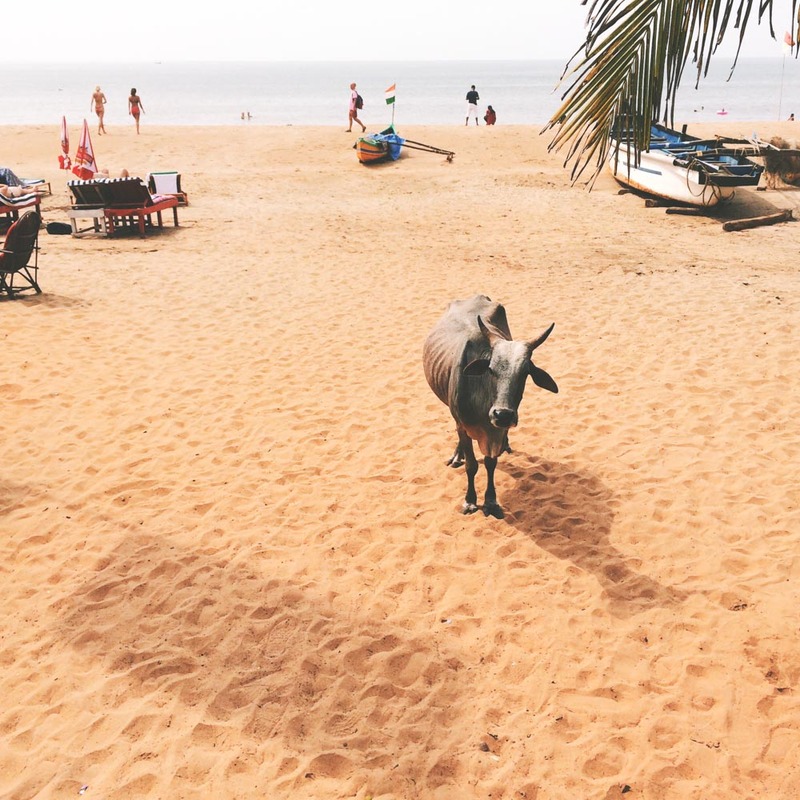 And if you’re planning a trip to Kerala or Goa, have a look at our detailed Kerala and Goa itinerary post, which has details of all the places we stayed, plus how we got around and what we chose to do. 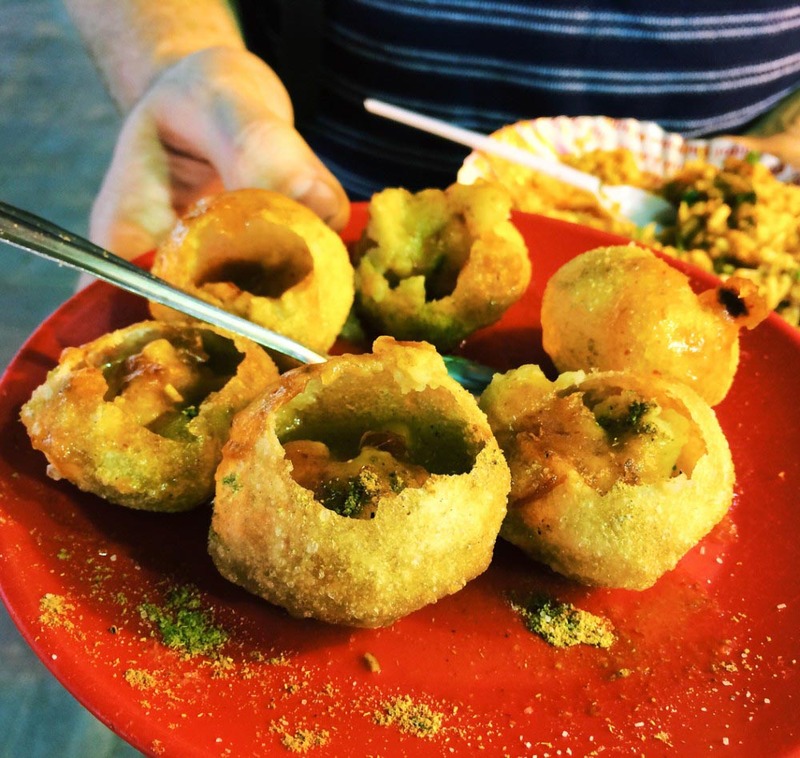 Our first stop was Mumbai where we headed straight for the street food stalls. 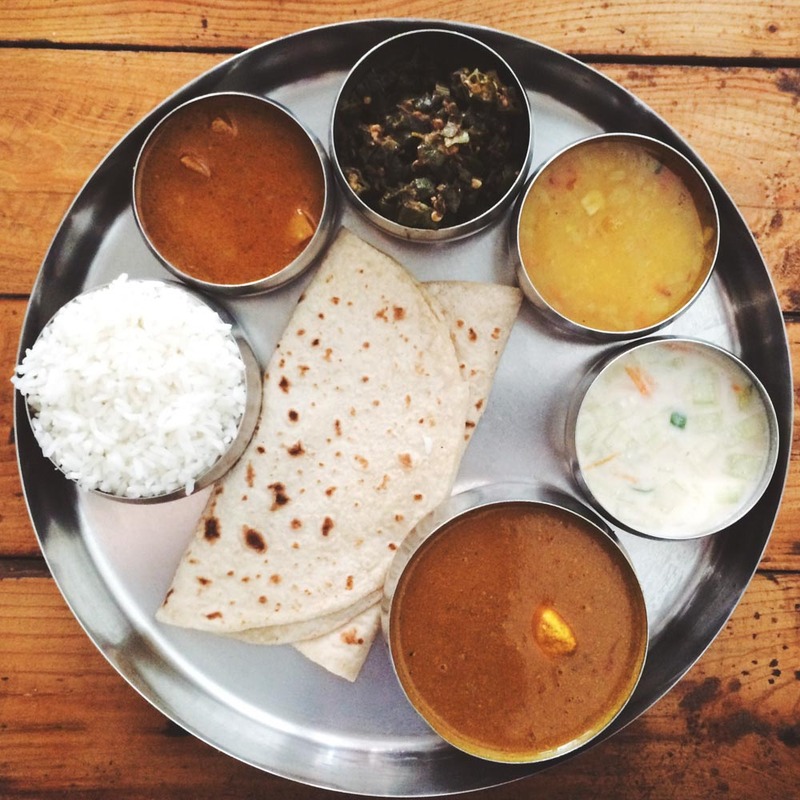 Indian food is some of our favourite, not least because it’s so good for vegetarians. This photo is of pani puri, which are little puri (Indian bread) bowls filled with chutneys, salsa and veg. I really want to make these now we’re home and just saw that Jamie Oliver has a pani puri recipe (I’ll let you know how that goes!). 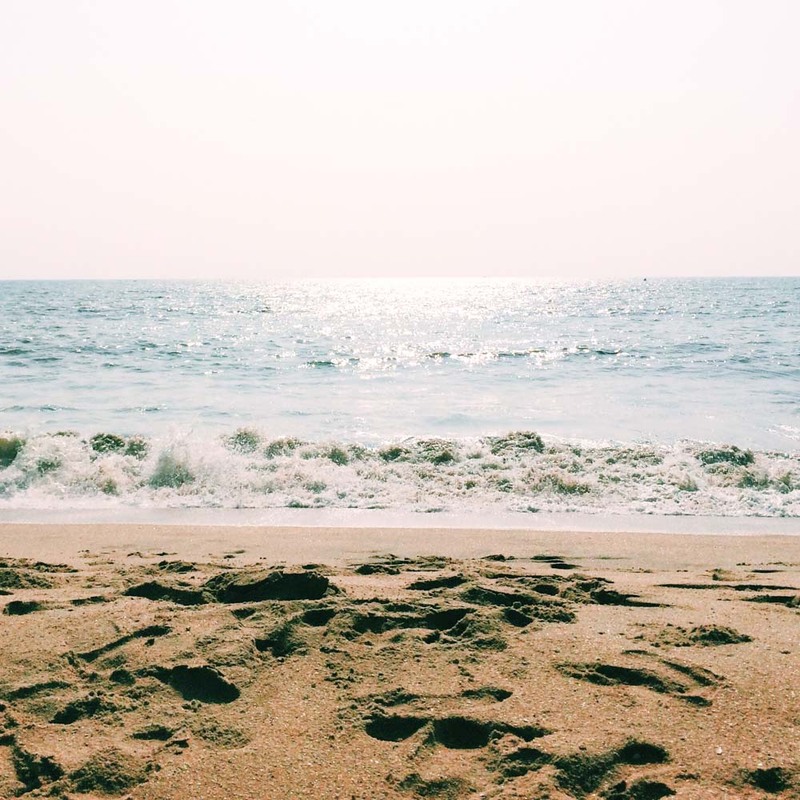 From Mumbai, we flew down to Kerala for some beach time. 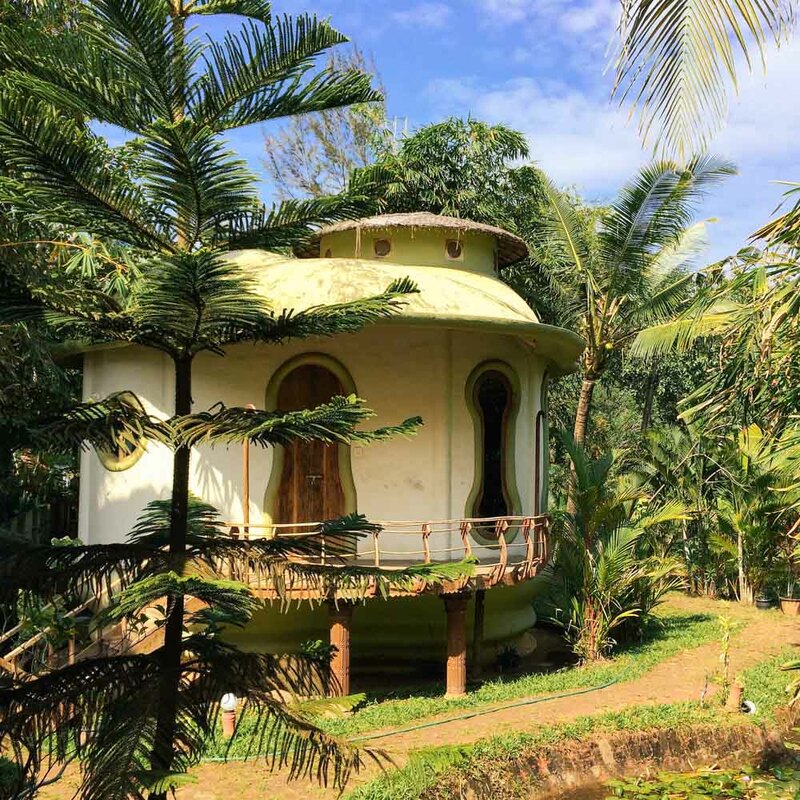 I posted a photo of the sunset at Varkala a few days ago, but this is were we stayed at the beautiful Eden Garden, which was very special and wonderfully relaxing. And, of course, the beach was stunning. 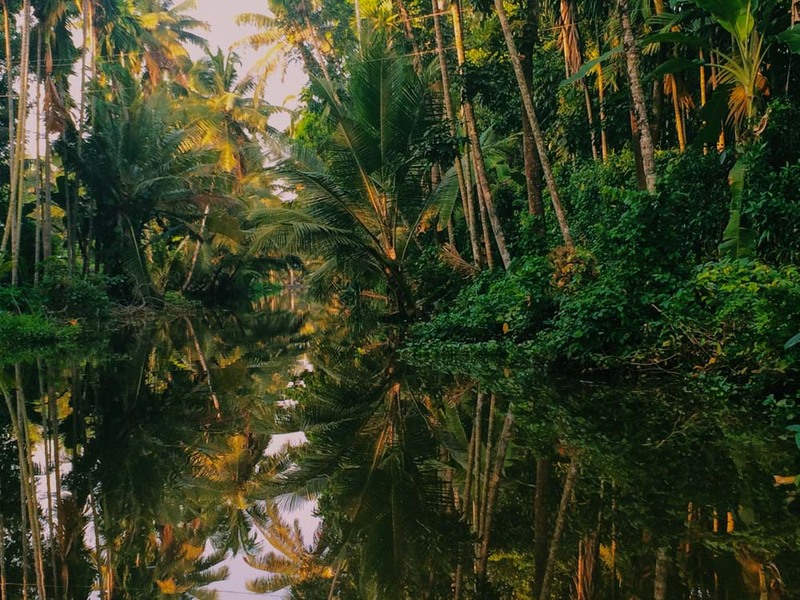 A trip in the backwaters was high on our list reasons to visit Kerala and we were delighted to find the wonderful Green Palms Homestay, thanks to a recommendation from our friends at Never Ending Voyage. It was one of the highlights of our time there and we’ve written a full review. 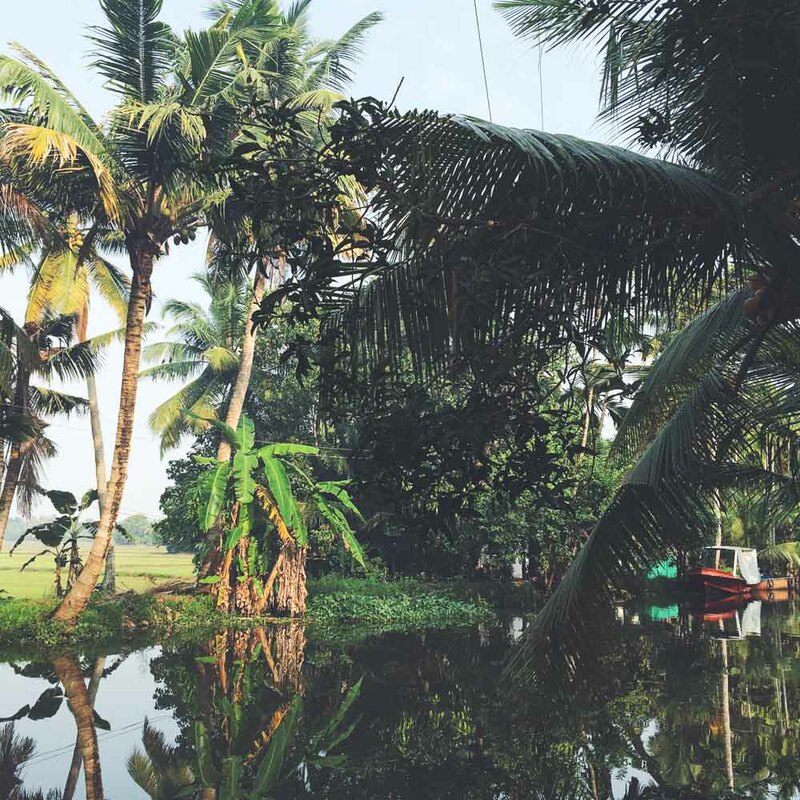 Green Palms was a way to stay in the villages of the backwaters but we also wanted to experience the waters on one of the famous Keralan houseboats. We splashed out on a luxury option and didn’t regret it for a moment. 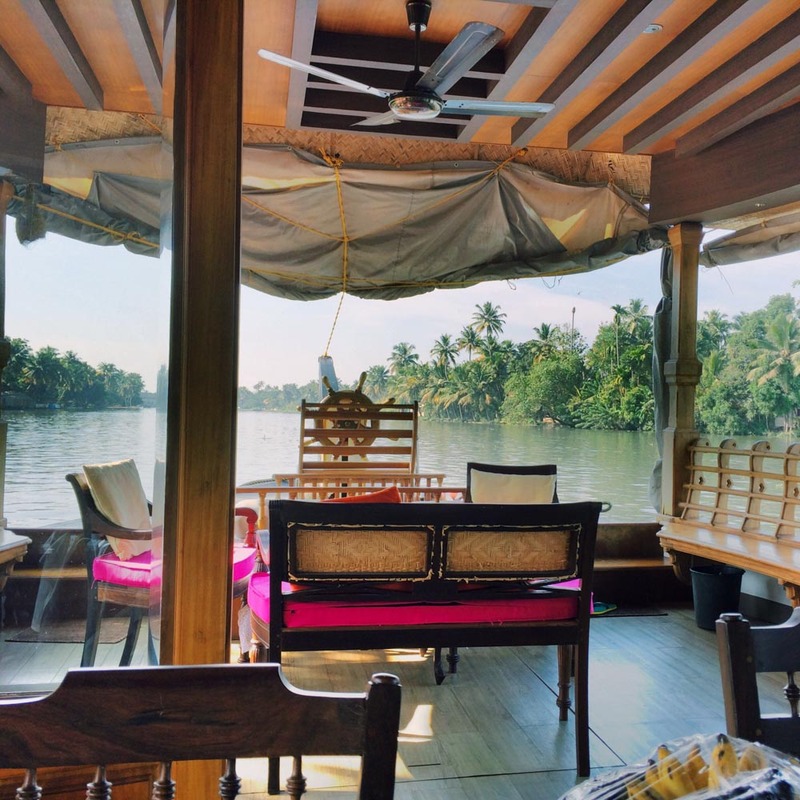 We think we might have found the best houseboat in Kerala! We ate so much good food in India. I’m still missing it now. Thalis are a favourite, and the Keralan food was divine. 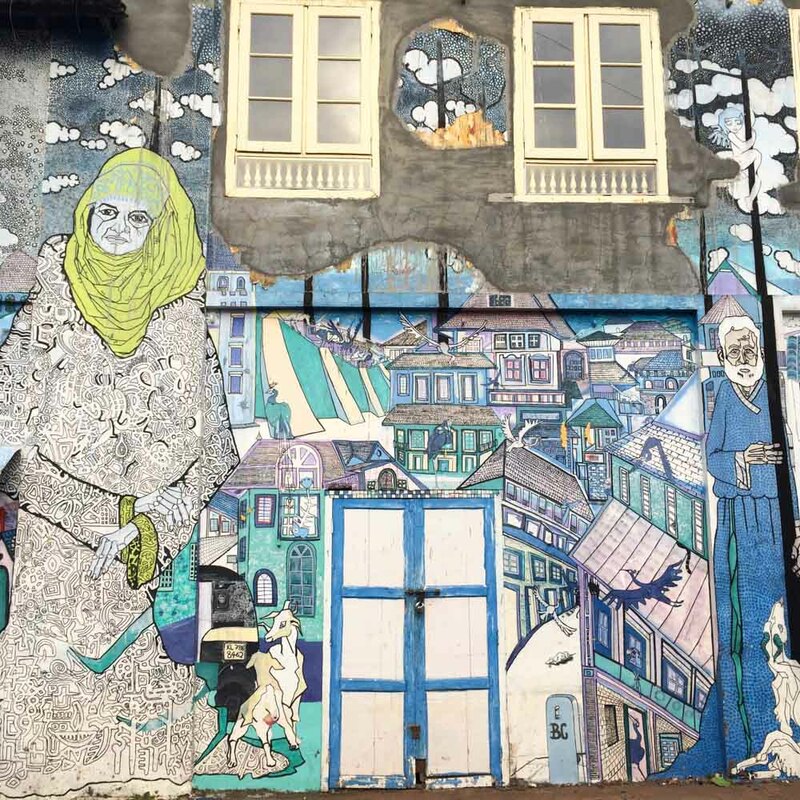 … especially because the city is a haven for artists. 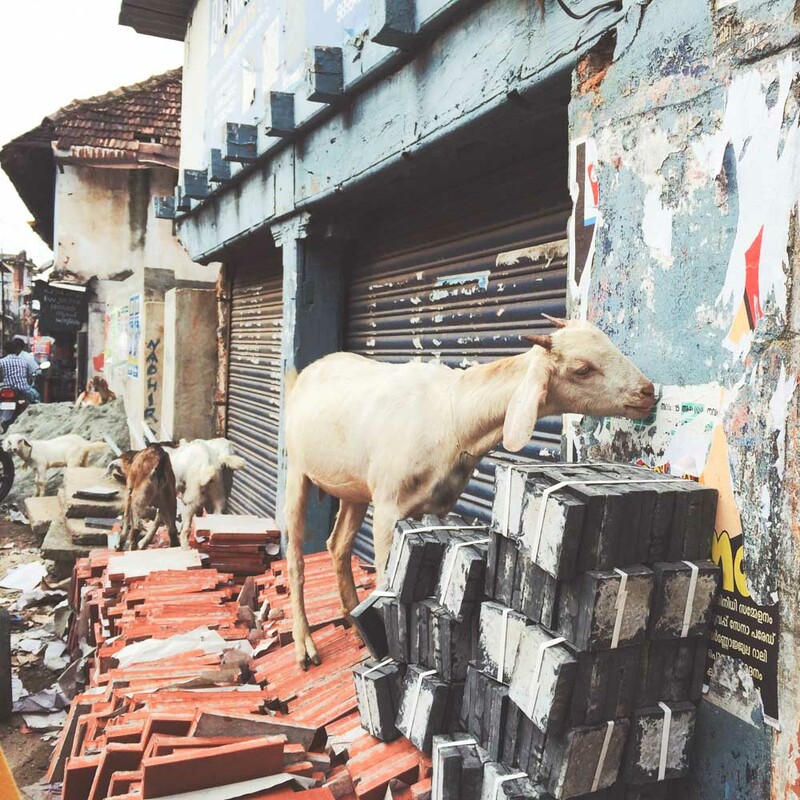 You soon get used to the sight of goats and cows on the streets on India. This one is eating a poster from the wall! We ummed and ahhed about whether to go to Wayanad or Munnar. 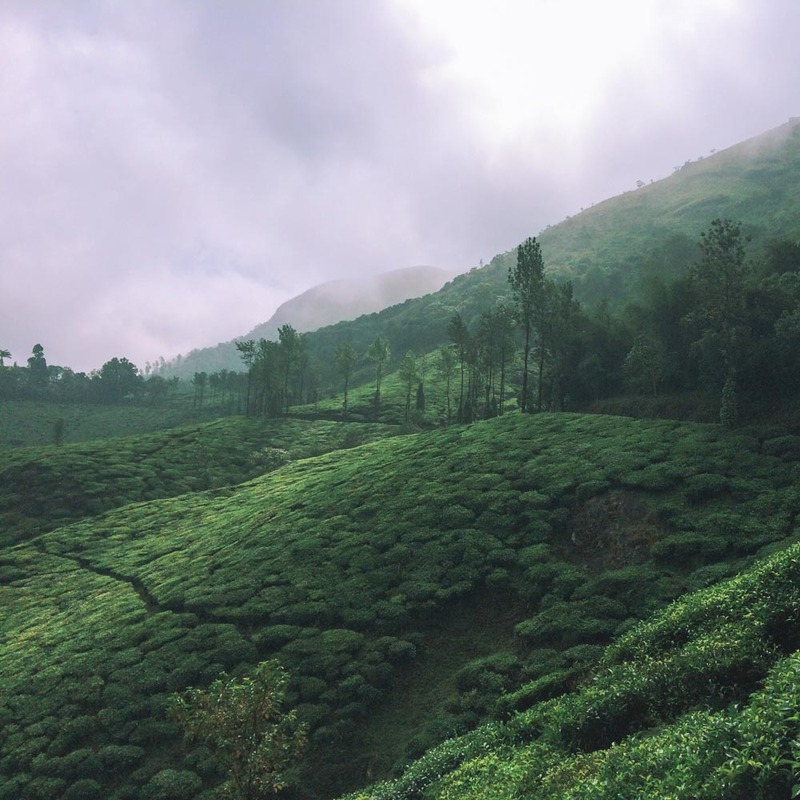 We chose Wayanad and views like this made us pretty happy with that decision! 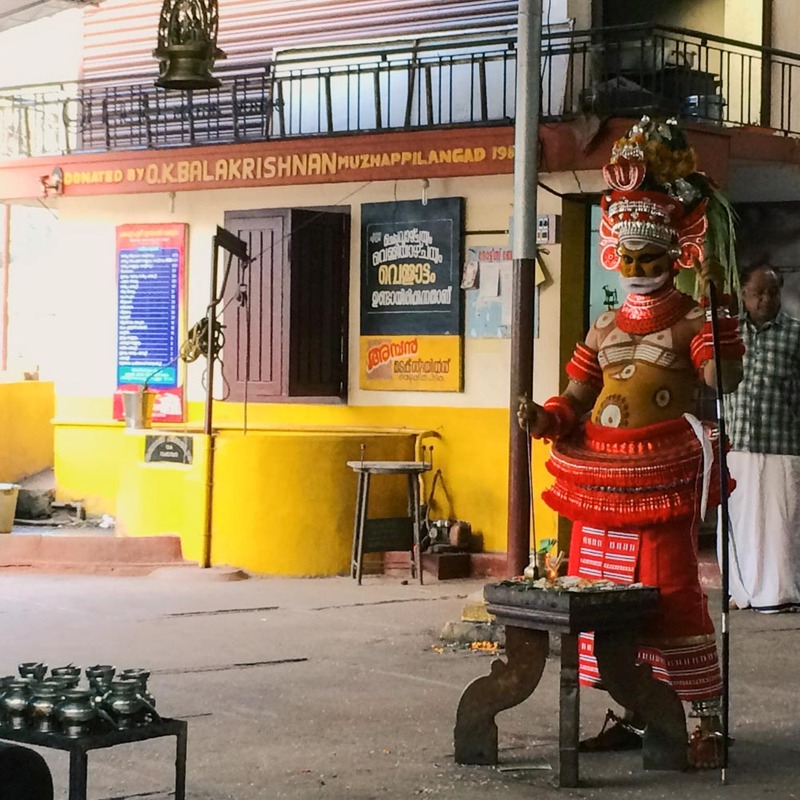 En route to Goa, we stopped in Kannur, famous for its Theyyam rituals. It was the wrong time of year to see the full ritual, which goes on all night, but we did see some preparations. The secluded beaches of Kannur also made it worth the visit. 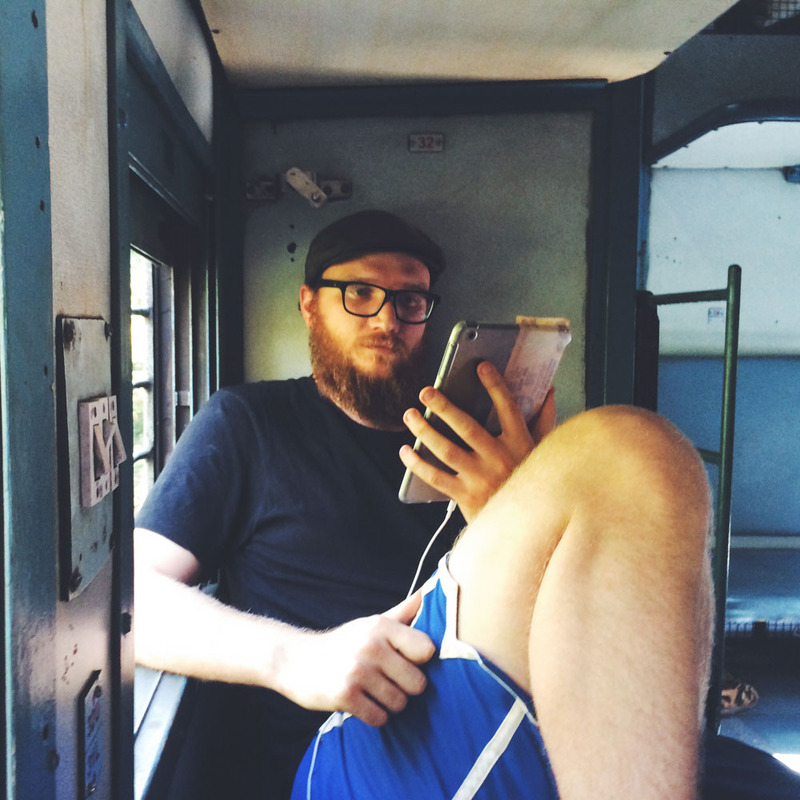 We never actually needed to sleep on a train as our journeys weren’t long enough, but we loved the hours spent during the day, reading and gazing out the windows with a cup of chai and a packet of biscuits. 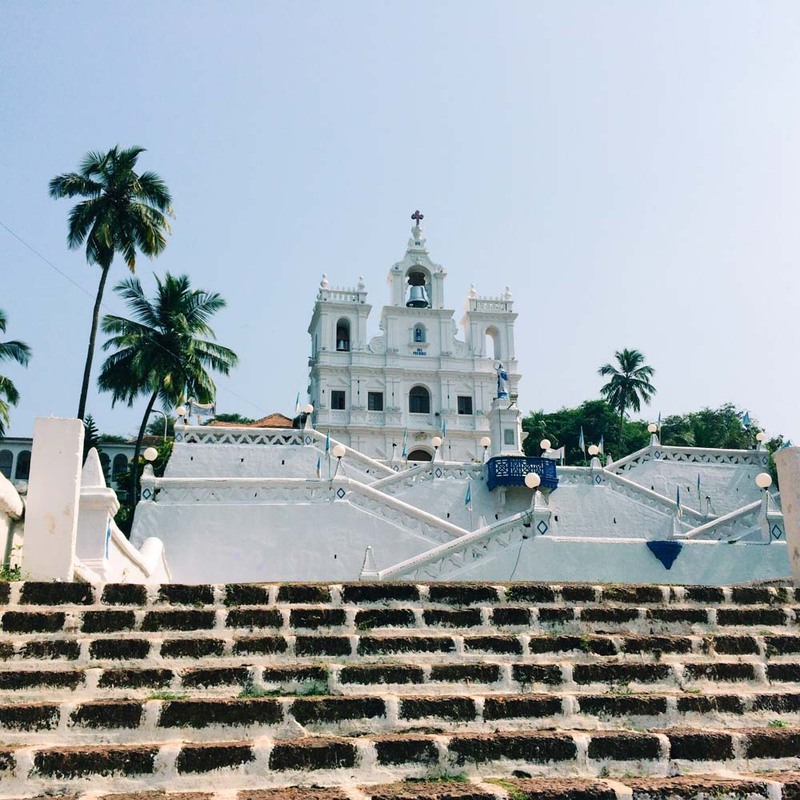 Our first stop in Goa was Panjim before we headed to the northern beaches. The view from where we stayed in Vaggator was gorgeous. 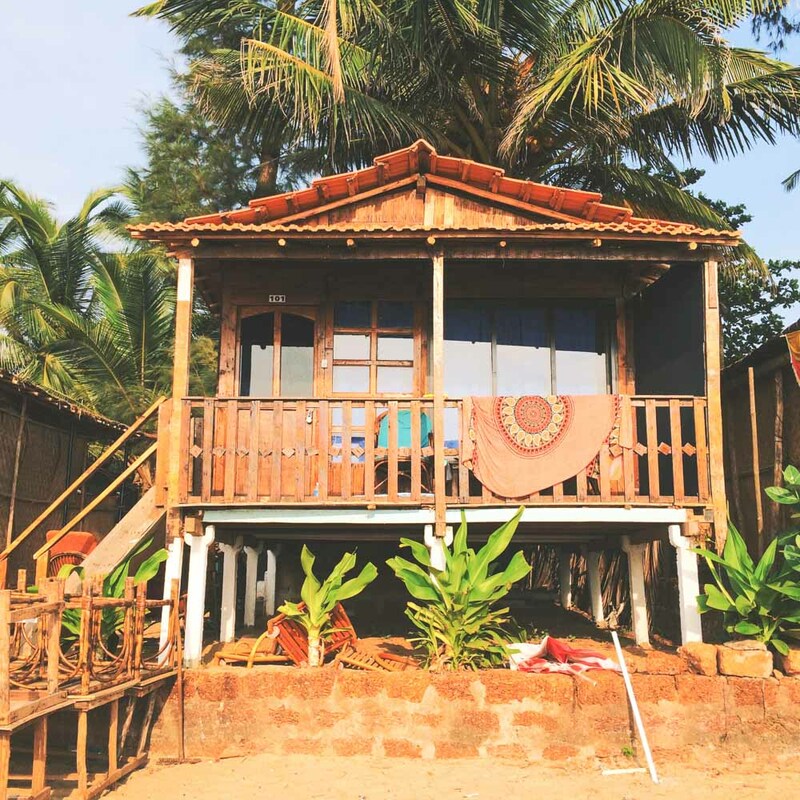 But we chose to spend the majority of our time in Goa on Patnem beach. 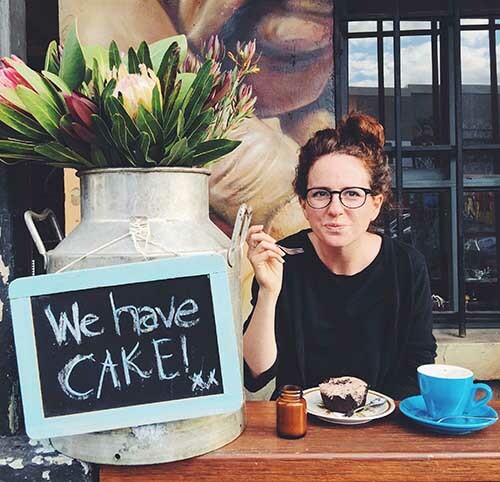 So many of our favourite bloggers (Hannah, Kim and Candace to name a few) have been there so we wanted to see what it was like. It proved the perfect choice and was a wonderful place to spend Christmas, especially because some good friends from London happened to be there too. 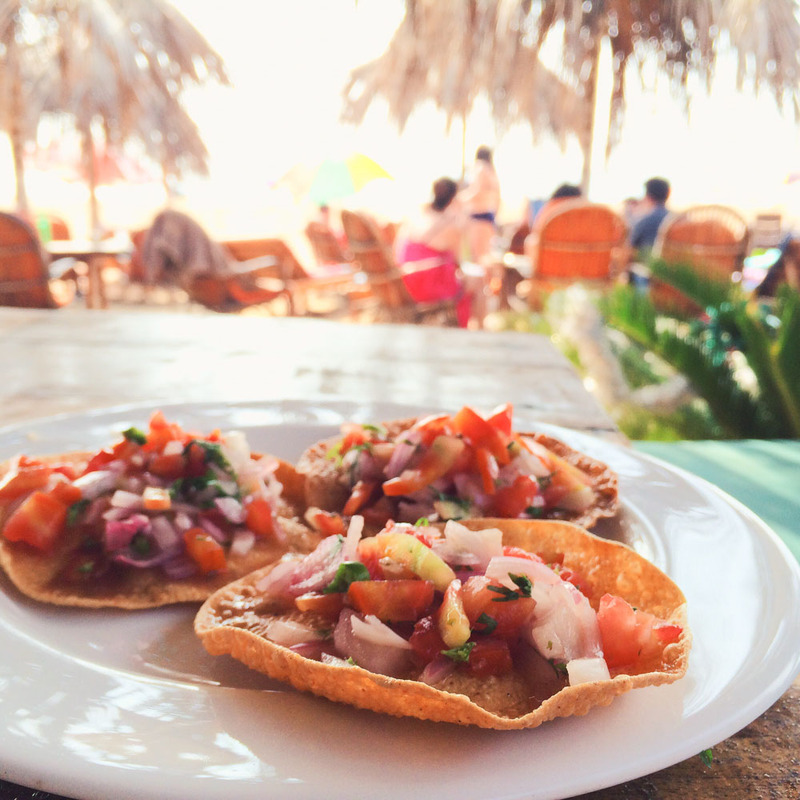 We discovered one of the world’s best beach snacks while we were there. It’s like a spicy bruschetta using poppadoms instead of bread. We also, of course, saw a lot of cows, made friends with many dogs …. … and enjoyed lots of incredible sunsets (this was the new from our house!). So there is a little taste of our trip to India. 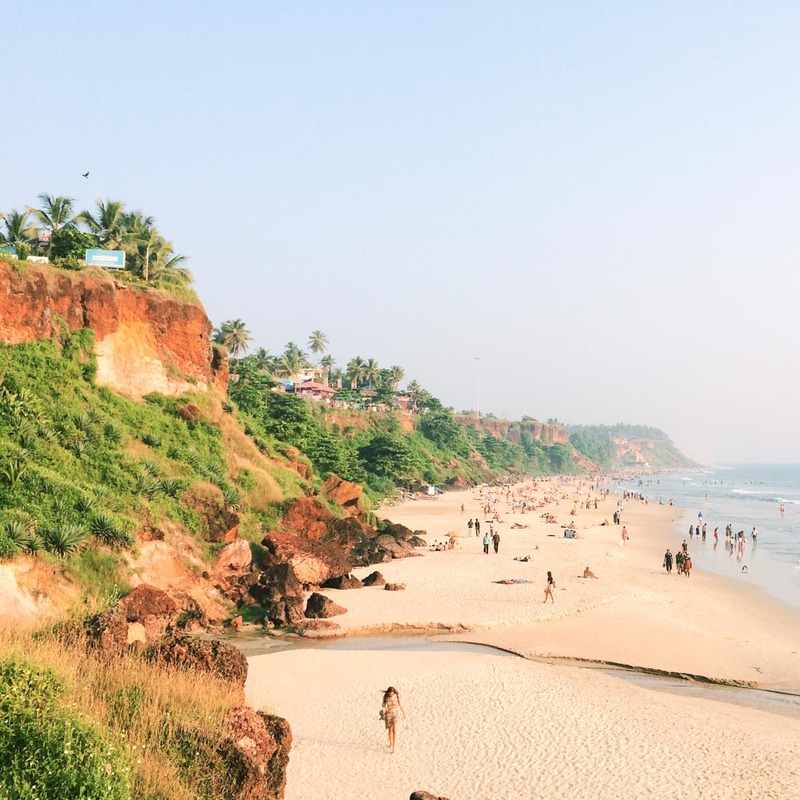 We also have a post that details our itinerary and all the things we did in Kerala and Goa, including where we stayed and how we got around. Looking forward to having a bit more of a noisy when you post the accommodation posts. or even a nosey. Not sure what a noisy is. I like the idea of a noisy! 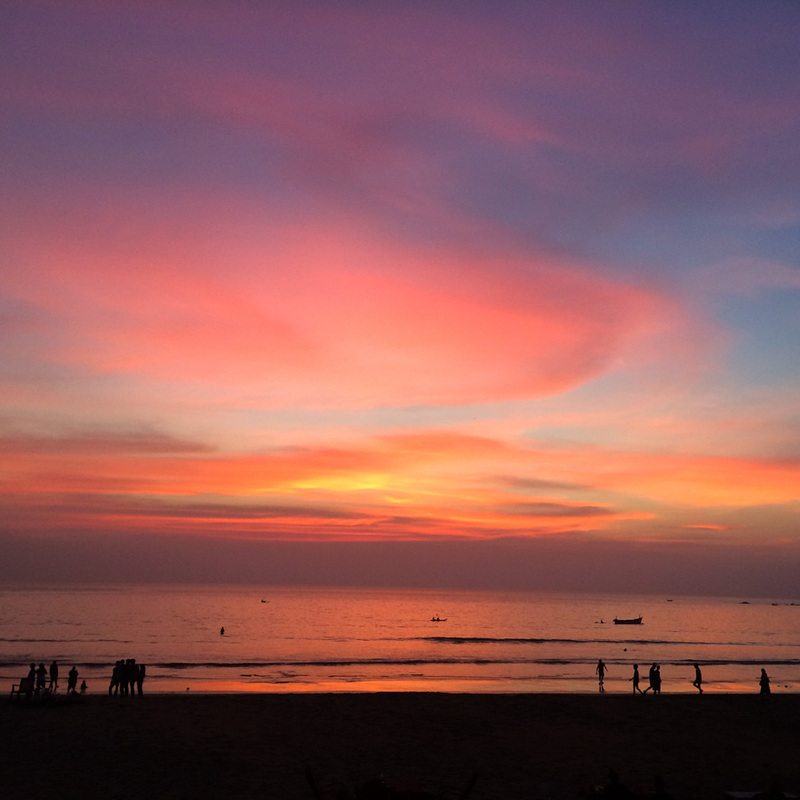 Mumbai and Kerela were our favorites in India! Did you guys take the bus in Kerela? We had a lot of fun (in hindsight) trying to figure out which buses could get us to our destinations there. at one point we ended up taking three different buses, jumping on and off in order to catch up to the right one! It was madness, but we never doubted for a minute that we would get where we needed to go. Yes, we did go on the a few buses, People were so happy to help us so it was always a lovely adventure. Can you offer suggestions on the best way to visit Kerala? 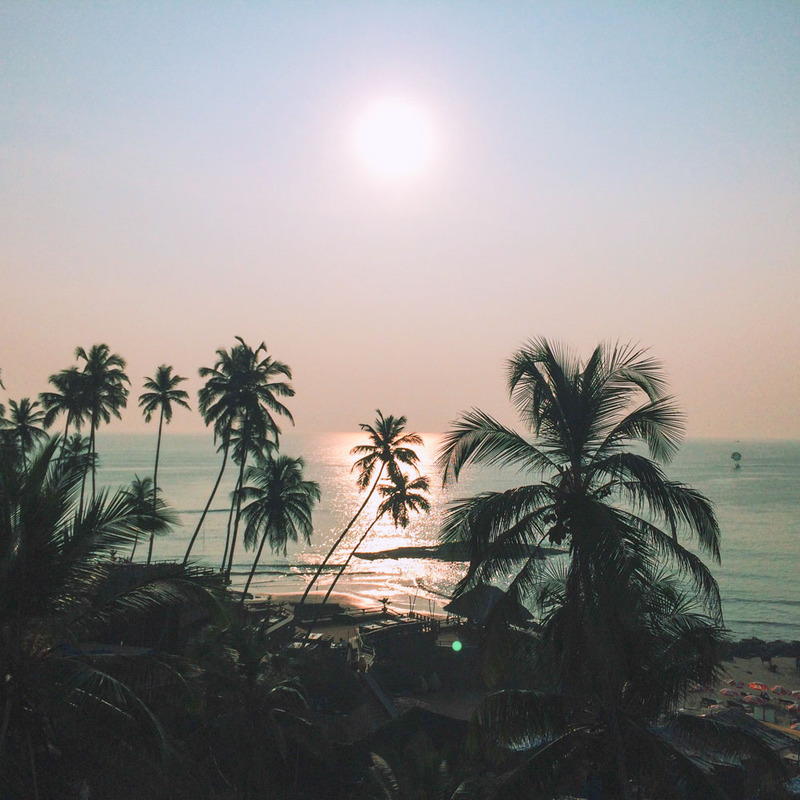 Would it be fly from Mumbai to Kerala… starting in Varkala and then heading to Alleppey and then onto Kochi? 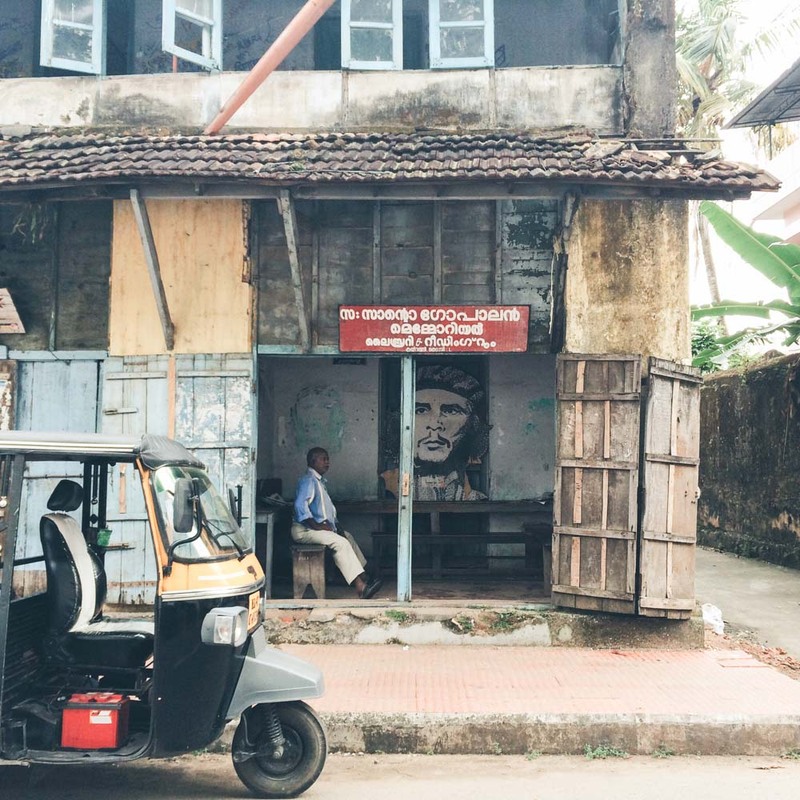 Or would it be Mumbai to Kochi, down to Alleppey, to Varkala? Our flight back home will be from Mumbai. Hi Suz. I just published a post on out itinerary, which I think answers all those questions. If not, let me know and I’ll be happy to answer any more you have. Have a great time! I loved our trip to Kerala too! Love your stunning photos because it brings it all back! unfortunately we lost our photos when we moved house (grrrr … some boxes got lost but the insurance money is pointless for something priceless like photos). Yes, this was the days before I went digital!! Thanks so much for a trip down memory lane! Stunning shots! I really miss India.